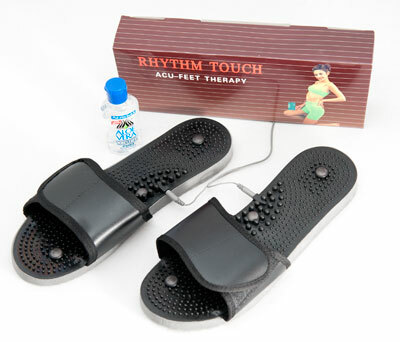 Designed for use with the Rhythm Touch 2-Way (not included) , Rhythm Touch Acu-Feet Therapy slippers will actually work well with most electrical muscle stimulators. 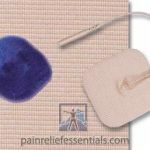 They ship with a long lead wire cord and work very well for relaxing and relieving pain in your feet. 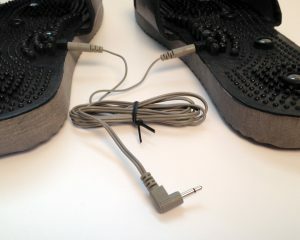 Perfect for packing into your suitcase while traveling so that you can stimulate your feet wherever you go. 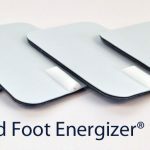 Please note that a separate device (either the Rhythm Touch or a different electrical stimulator) is required to operate these slippers.